Within the framework of the forthcoming conference in the northern capital of Russia, the CEO of DEEX gave another interview to its organizers. Decentralization is not just a trend. This is the future of blockchain systems. About this and many other things one of the main speakers of the St. Petersburg forum — Vladislav Sapozhnikov — tells in his interview. 1. Vladislav, you are one of those who believe in the future of cryptocurrency. Tell us, what is your confidence based on? What facts, assumptions and analogies suggest that the future is behind the decentralized services? The general vector of the mankind’s development shows the favor of this thesis. Centralized systems do not provide a guarantee the safety of the individual’s financial values nor guarantee the fulfillment of statements made by state representatives. Centralized authorities have forgotten that they are no more than temporary hired managers who were chosen by the community for a certain period of time, delegating them the solution of their tasks. On the contrary, decentralized services based on stable and reliable mathematical algorithms allow economic agents to act directly, without relying on solutions of a centralized system. Classical economic theory teaches us that the institution of intermediaries exists because of the scale and volume of operations leading to a more efficient functioning of the economic system. In theory this is all true, but the theory and practice are two differing things. The emergence of cryptocurrency and blockchain removes the problem of trust and allows to work effectively p2p, from equal to equal without the need to rely on some intermediary centralized authority. Mankind is gradually beginning to understand this. Although, as Kaspersky said in one of the interview, the cryptocurrencies will play an important role in the life of mankind, but in three hundred years. Not everyone is ready to wait for this. 2. 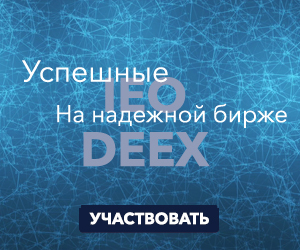 Talking about Deex.exchange you mentioned that it has a convenient interface and strong marketing. Tell us about the project team, who is working behind the “decentralized exchange of the new generation”? At the moment the ICO system is in process. We have already collected about 6000 ETh. And the active work on the project continues. We are probably one of the few blockchain projects which lead the ICO and at the same time have a working prototype of the system. The project team consists of professionals in the field of processing, payment systems, banking, finance and trading. Developers have more than 15 years of experience developing complex software products. 3. At what stage is the project now? What did you achieve, what are your immediate plans? Did the January market’ fluctuations affect? What is the reaction of traders to Deex.exchange? Fluctuations on cryptocurrency market are normal. It did not affect us in any way. As for the reaction of traders there is an increasing number of them. They are ready to trade on DEEX and transfer the trading capital there from centralized crypto exchanges. 4. In one of the interviews you have compared BitShares and Ethereum. Is BitShares really able to compete with this popular platform? What are its advantages? Yes, there is nothing impossible. Bitshares is the most underrated blockchain so far. At the same time this is the fastest and the most loaded blockchain with the largest number of transactions. The only drawback of Bitshares is that it is the most honest decentralized system. As a consequence, it does not have a single governing body which would communicate with representatives of the authorities and the press. Ethereum is the system with a strong community and marketing. We will make efforts to improve the marketing of Bitshares making the platform more popular. 5. 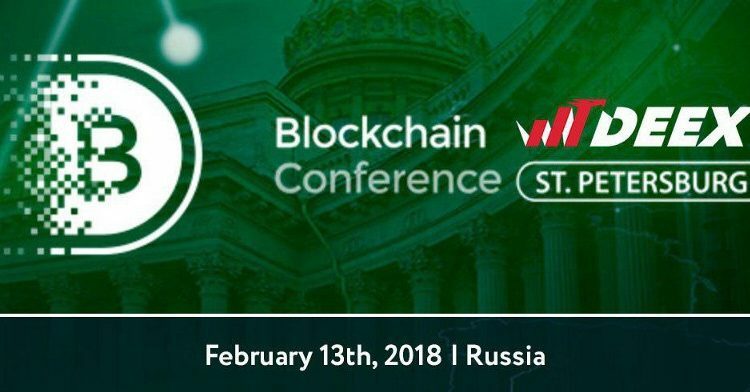 You have been a speaker at many Blockchain & Bitcoin Conference events for the past three years. Tell us, how much did this contribute to the promotion of the Deex project? Yes, indeed. I took part in all the activities of smile expo organizers since their first conferences in 2014. Since then we have seen many high-quality projects which have gone into oblivion. On the other side the strong project’s community has been formed, which have remained and are successfully developing. We see all those who stayed in business and community, strengthen mutually beneficial relations and develop their business. In the crypto world one year goes by ten. Staying in this business for more than three years is already a good result. Accordingly, when we came out with a new project having many years of experience, the level of trust became much higher. Without a doubt this contributes to the successful development of the project.